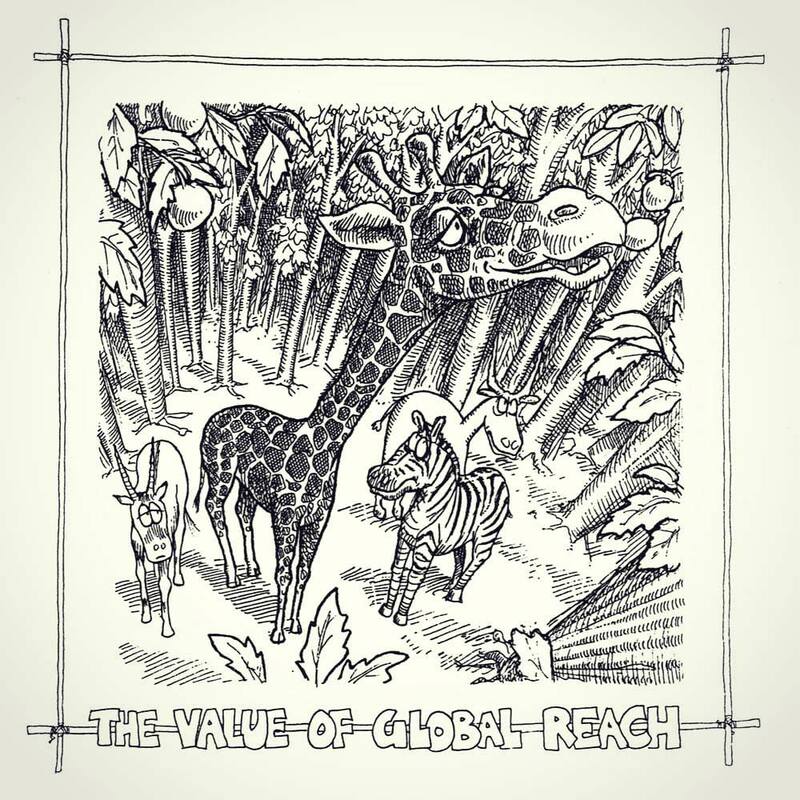 One of a set of six illustrations commissioned for a management presentation, drawn back in the early 1990s: a giraffe demonstrates the value of reach. I was given the six topics — in this case, “global reach” — as part of the brief, of course, and once I’d decided to run with the animal theme, using a giraffe for reach now seems a little too obvious. This one also suffers from the background being too dense behind the primary figure’s head. I seem to remember colouring these in, and that this didn’t look so bad in the coloured-in version, but the artwork for that was lost long ago — probably delivered to the client, in fact: although I was a regular at the local photocopy shop, back then colour copies were too expensive just to do for backups.